Slovenia have been touted as the upcoming team in Europe but still only have one victory in the competition, two years ago when they beat the eventual champions Italy. They took early leads against both Serbia and Portugal but, despite having talent, paid the price for relying on only 6 players. They will have to utilise more players if they want to go further when they host the next edition in 2018. Best Player – Igor Osredkar – Hardly left the court and did an outstanding man marking job on Ricardinho, despite his hat-trick, where he hardly left his side. I’ve never seen anyone be so closely man marked in futsal before. It was a great achievement for Hungary to reach the finals after qualifying through the playoffs with a last second winner in extra time. They can be proud of their performances in the tournament as they competed well with two strong teams in Ukraine and Spain. Their team was based around pivot Droth who everyone found difficult to handle, getting two goals in both games. Best Player: Zoltan Droth – Announced himself on the international stage and we’ll be seeing more of him in the future as he signed for European Champions Kairat just before the EURO kicked off. Croatia’s tournament can only be described as disastrous. They have such a wealth of individual talent but it wasn’t utilised well. They stuck to using five players for the majority of time despite having plenty of quality throughout the squad. In previous tournaments they might have got away with that up until a point but this time they didn’t. There was lack of movement off the ball and the ball circulated very slowly. Having failed to qualify for the playoffs for the World Cup later this year, they will have to start to prepare for 2018. The positive is they had the youngest squad in the tournament so all the players will be around in two years’ time but they have to start to take advantage of this excellent generation before it is too late. Best Player: Vedran Matosevic – Despite limited court time, provided movement and a threat which was otherwise lacking. The Czechs have always been reliable performers but were missing the experienced Maresh brothers due to injury. They were unlucky against Azerbaijan where they sat back and looked to counter attack, the only team that used this strategy in the competition. Against Italy they never put up a fight. Coach Neumann blamed this on a lack of fitness due to having gone from three to one professional team in the country. Best Player: Lukas Resetar – The captain provided a threat with his dribbling skills. A team built on discipline and hard work. They took very few risks in possession, almost never conceding a counter attack, and defended strongly. They didn’t create much of a threat except for direct throws from goalkeeper Ivaniak and from set plays, though they lacked variety. With their best goalscorer injured, they lacked a player who could create something individually and if they can improve in open play they will be a match for anyone on their day. Best Player: Dmytro Bondar – Skilful player who scored a fantastic goal v Hungary. 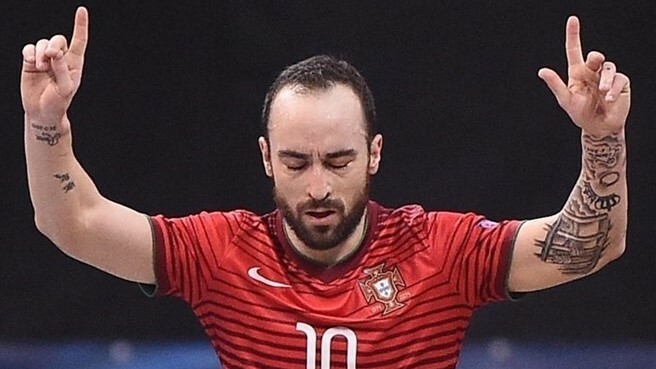 With World Player of the Year Ricardinho coming into the tournament on the form of his life, some wondered whether this was finally Portugal’s time to win a title. However, they relied too heavily on him and when he was not on court they lost control of games and didn’t create any threat. They lacked a pivot to play off in the group games with Cardinal suspended but, having lost to Serbia meaning a quarter final against Spain, he wasn’t able to perform on his return. Best Player: Ricardinho – Left his mark on the tournament with two wonder goals that will go down as two of the best in the history of the game. Azerbaijan always provide great entertainment and, for the 3rd time in a row, were involved in the highest scoring game of the tournament. Struggled when being pressed but looked good when teams gave them time on the ball. In the past they had been dangerous with the fly goalkeeper but this time it didn’t really come off for them. Individual errors cost them in the quarter finals against Russia. Best Player: Rafael – Fast and mobile defender that reads the game well and was important in both their defence and attack. The reigning champions started well in the group stages and looked strong in both defence and attack. Their main threats were their two pivots and Merlim in 1v1 situations on the left wing. Maybe they had it too easy in the groups with captain Lima saying that last time it was the loss in their 1st game that was the key to them going on to win the championship. Against Kazakhstan they made some tactical errors. They are a team that struggle to defend the fly goalkeeper yet decided not to press Higuita in his own half, allowing him to come forward and use this strategy. In attack their pivots weren’t going deep enough to stretch the Kazakhstan defence which likes to keep its defensive lines close. Best Player: Rodolfo Fortino – The reference point for the Italian attack with 3 goals and 2 assists. The hosts set a target of the quarter finals but they made it all the way to the final day and the 3rd Place Playoff. Their success wasn’t built on being tactically superior but on their individual abilities, utilising a simple man-to-man marking system in defence and 1v1 situations in attack. Their results were due to their key players performing and good squad management by coach Kovavcevic who used the majority of his team throughout. 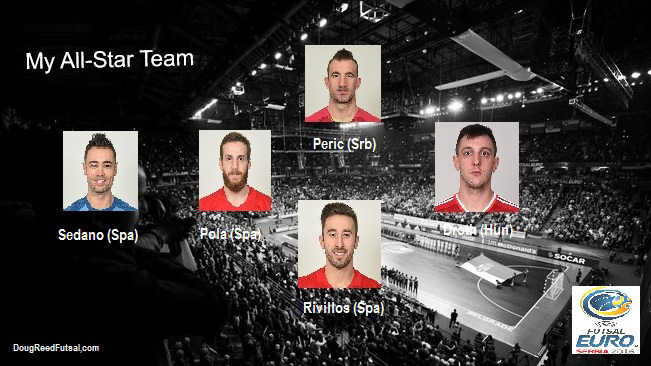 Captain Peric and Kocic were almost unstoppable when they got 1v1 high up the court and goalkeeper Aksentijevic was one of the best goalkeepers of the tournament. Best Player: Marko Peric – Had a fantastic tournament on his debut back in 2007 and still performing at the same high level almost a decade on. The first debutants ever to get on the medal podium. Fantastic display from the team and much of it down to Cacau, the tactical mastermind behind the team. They used the fly goalkeeper superbly to disrupt the rhythm of games and gain control. The other key was their zonal defence, always keeping compact and having cover in case someone was beaten. They conceded very few shots on goal. Shame we didn’t see a full strength Kazakhstan against Spain as Higuita was suspended and Yesenamanov was injured but they still gave the eventual winners a game. Their results were not down to luck and they will do well at the World Cup if they overcome Poland in the playoffs. Best Player: Leo – Was the fulcrum of their attack with his excellent passing. Russia lost in the final for the 3rd successive time but it was an achievement they reached that far as they looked poor from the beginning. They were very one dimensional with an attacking game heavily focused on playing into the pivot with little movement off him. Eder Lima was off form and some have said that if he played in the final it would have been different. I am confident Spain would have still won comfortably. They lacked the 2 touch ball circulation and constant off the ball movement that is traditionally a characteristic of Russian teams. Maybe it is time to end the Brazilian experiment and go back to using only Russian born players? Had several players missing through injury including Sergio Lozano, Fernandao, Aicardo and Adri. It was expected that Spain would have to work hard to regain the title they lost in 2014. They grew in confidence as the competition went on and by the end were totally dominant. Their suffocating high pressing and well worked set plays set them apart from the rest. The importance of the team is highlighted by the fact there was no clear individual who stood out from the rest. A lot of credit must go to coach Venancio for their success as it was team which was clearly tactically superior to the rest. Expected to qualify for the World Cup in September, the Head Coach will go to Colombia with a lot of confidence that they can win the title they lost on penalties in 2008 and in extra time in 2012. Played mainly as the last defender having converted from being a winger due to injuries to others, he put in a man of the match performance in the final and scored 2 goals to end an excellent tournament. Higuita (Kazakhstan), Leo (Kazakhstan), Abramov (Russia), Alex (Spain), Miguelin (Spain), Ricardinho (Portugal), Romulo (Russia), Kocic (Serbia), Peric (Serbia). It was a close call with Cacao of Kazakhstan also having a claim to being the best coach after guiding Kazakhstan to 3rd place on their debut. However, the supremacy of Spain over the rest due to how well organised they were has meant I have gone for Venancio Lopez. His record is incredible; Since taking over in 2007 he has won 4 out of the 5 Euros and never lost with Spain in regular time. Just needs a little bit of luck to get a world title. With several players missing through injury, Pola came into the EUROs knowing he would have to assume more responsibility. Plus he would fulfil a new position with the national team, playing in defence rather than a winger, as he has done this season with his club. He is the form of his life and though he only got 2 goals and 1 assist, his tactical understanding in both defence and attack meant he was a crucial part in their success. Nearly every team in the tournament pressed high up the court for long periods. Only Czech Republic sat back and tried to counter attack from deep. They did this when they played Azerbaijan and later coach Neumann said his players weren’t as fit as in the past as some were no longer professionals like they had been before. Maybe this trend is down to increasing professionalism of futsal across Europe. All of the teams pressed using man to man marking including strong nations like Russia and Italy. The only exceptions to this were Spain and Kazakhstan, whom used a more zonal pressing system that requires a lot of co-ordination and teamwork. This shows that other teams still have a lot to learn tactically as pressing in this way is much more effective as you run less, regain the ball quicker and have cover if you are beaten. The fact that that teams defended much higher up the court meant we rarely saw counter attacks initiated from deep in the defensive half. Mostly, counter attacks began near the opponent’s goal after the ball had been won by intense pressing. Maybe this high intensity pressing caused some tiredness so that when possession was gained near their own goal they weren’t looking to break quickly. It will be interesting to see how this develops as the counter attack from deep has been a traditional characteristic of futsal. In recent years many teams had used the 4-0 attacking system without a pivot but this was rarely effective during this tournament. Teams were able to keep possession but without converting that into creating chances. That was surprising as this way of playing is perfect for attacking man-to-man defences, which nearly all the teams in the tournament utilised, though requires more practise. Against this type of defence you can get the opposition defence in a line, mirroring the attacker’s positions, leaving space behind to attack but we didn’t really see this being taken advantage of. Instead, it was the pivots that shone and were key to teams not only creating chances but escaping the pressing of the other teams. It is often said that the goalkeeper is at least half the team in futsal and this tournament only reinforced that statement. The teams with the best four goalkeepers got to the semi-finals (maybe Ukraine’s Ivaniak has a claim to be among them). Two teams that highlighted their importance were Portugal whose decision to change goalkeeper after the group stages didn’t work and Kazakhstan who weren’t able to fill the loss of the suspended Higuita in the semi-final v Spain. The high level of competition now and the fact that games are played every 2/3 days (full recovery is said to take 3 days) means coaches must share the minutes throughout their squads. Serbia have arguably less talent than Croatia or Slovenia but the latter two used a limited number of players and went out in the group stages. Of course, the home crowd was also a significant factor in the hosts’ success. 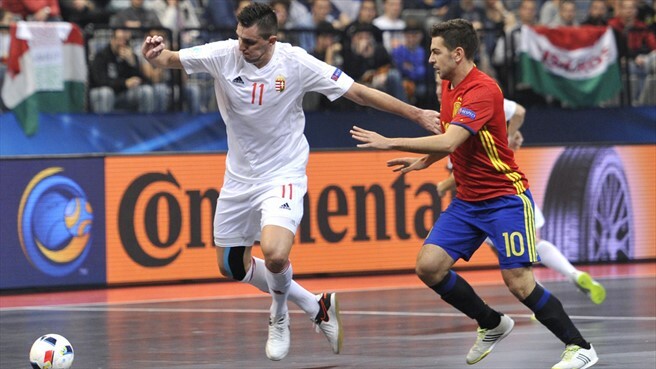 Spanish coach Venancio spread out the minutes relatively evenly throughout and this showed in the final when they looked far sharper and fitter than Russia. It was a great experience to be co-commentator for all the games and meant I got to watch every game in full which I know wasn’t possible in the UK with British Eurosport’s schedule. However, once it got to the knockouts they showed every game live which I presume was down to the viewing figures and demand for futsal. It is a challenge to commentate to such a wide audience as 90% of people watching would know very little about futsal but I hope I was able to provide insight for both them and the futsal community. In my Preview I predicted that, if any of the favourties wouldn’t finish top of their group, it would be Portugal. However, I did not see Serbia making a run until the final day and the 3rd Place Playoff. In fact, I thought Slovenia more likely to cause the upset against the Portuguese. In the other groups results went as expected. I gave Kazakhstan the dark horses tag but a 3rd place final position surprised me, though I did forsee they would knock reigning champions Italy out in the quarter finals. My guess that Russia would narrowly win was nowhere near being right even though they scraped into the final. After seeing all the favourites play once, I changed my opinion to backing Spain as they looked in good form. Overall, I thought it was an excellent tournament. It broke records for attendances as the sport continues to grow. I don’t think the games were very open but the goals scored was around historical averages at just over six per game. We now have the World Cup from Colombia in September to look forward to and we’ll see how the European teams fare against the rest of the world.